Home Lindsey Loves...>June Jacobs and I Heart New York Giveaway! >Did you have a wonderful Valentines? No? You hate all men and want them to die? Hmm. Well, I can’t help you out with the mass destruction of half the species but I can offer you a super fun competition? Yay, we have a deal! The lovely people at June Jacobs want you to be all kissable, all the time and so they’ve given me a Lip Kit to give away. 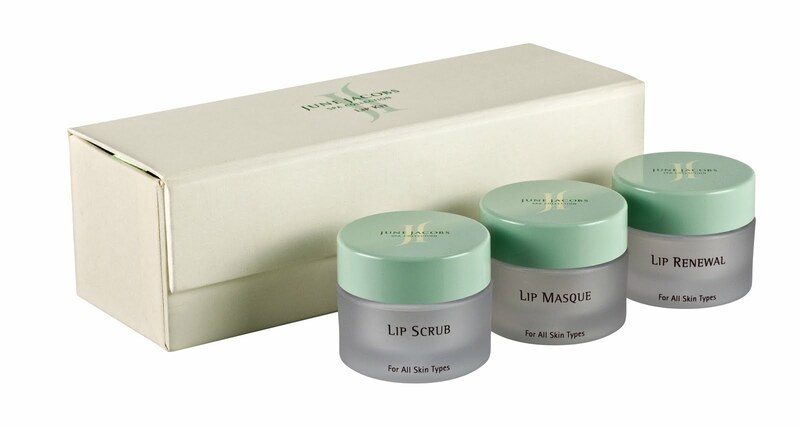 Each kit contains a scrub, mask and their fabulous mango butter, shea butter packed lip renewal, Amaze. And because it’s (practically Valentines) I’m throwing in a signed I Heart book – your choice of New York, Hollywood or Paris. Oh yes, a $60 lip kit and a signed book. Happy Tuesday! Easy, right? I don’t like to make things hard for you. You can also check out the entire lovely June Jacobs range at www.junejacobs.com and www.skinstore.com Please excuse me, I must go away and suffer from a hideous cold now. New York Fashion Week updates coming soon! Next ArticleJune Jacobs and I Heart New York Giveaway! OMG.I am 14 years old I love your books (iheart new york, hollywood and paris) PLEASE I AM BEGGING YOU WRITE ANOTHER IN THE SERIES. I can’t wait to find ut about oh so hot Alex and cheated on Angela. I wonder if they’ll get married or Alex will cheat on her with some slag. Anway ignore my fantasies i totally hope u write another please post some info!!!!! Is it available to UK ? >Alright lady. On an unrelated topic, I want your pick of the best eyelash adhesive.I know you are now a patron of the higher-end semi-permanent extensions, but you have to have some insight on the best temporary/daily adhesive.Cuz I have some fabulous falsies that need a public battering… wait, that came out wrong.